Buchenwald was best known as the home of leading literary , it was located Northern Slopes Of The Ettersberg , 5 miles Northwest of Weimar in East -Cengtral Germany . 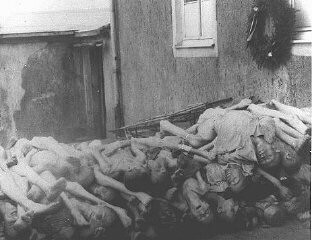 One of the largest concentration camps in Germany. Was founded in July 16,1937 . It was divided into 3 sections ; "Large Camp" Which housed prisoners highclass . "Small Camp" Where prisoners were kept under (middle class) . " Tent Camp" Set up in 1939 for prisoners . Buchenwald was only for males in till 1943-1944 when women became part of the system . Politicals were also brought into camps. GTreated jews very cruelly (worked 14-15 hrs a day) Living under terrible conditions , also use jews as a medical experimentation. Buchenwald was liberated on April 11, 1945 . There were 238,980 prisoners ; 43,045 were killed . Later became a Camp Museum .